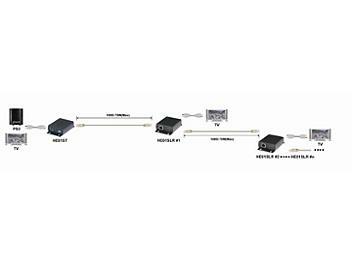 Works with HE01ST as receiver for extra remote HDMI display equipment. Built in Loop out, could be daisy chained for another HE01SLR to extended working range and multiple displays. Built in auto equalization, retiming, pre-emphasized for optimum performance. Transmission range up to 70M at 1080i, 30M at 1080p resolution.